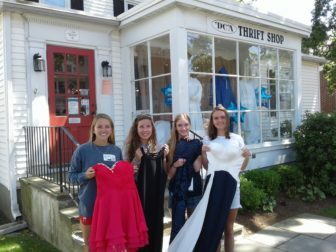 The DCA Darien Thrift Shop is holding a prom dress sale, starting at 10 a.m., Saturday, March 23. Prom dresses will be on sale at the DCA Thrift Shop starting this Saturday. 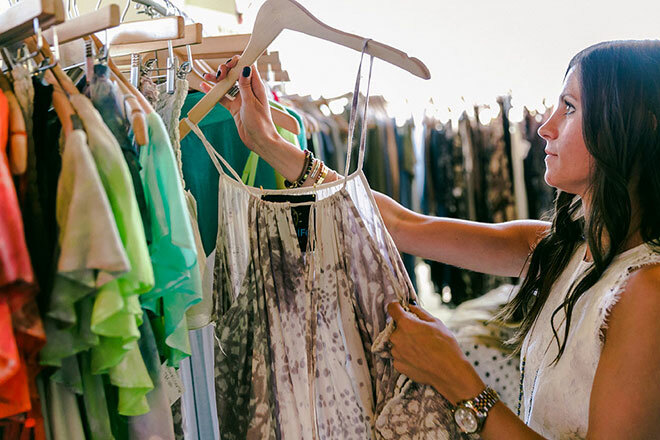 Another special event, a “New and Premium Label” clothing sale, will take place at the thrift shop on Monday, April 8 from 10 a.m. to 2 p.m. at the Thrift Shop. The DCA Thrift Shop was founded in 1931 to supply clothing and food to families in need, and offer employment for women during the Depression. Workers washed and mended donated clothing and repaired household articles, which were then sold at very low prices. Today’s Thrift Shop is run by volunteers, continuing the tradition of helping the community. They have expanded the merchandise to include jewelry, books, home furnishings, accessories and more. Over 1,800 customers make purchases at the shop each month. All profits support the mission of the DCA, including scholarships for Darien High School graduates. The DCA Thrift Shop’s “New and Premium Label Clothing Sale” will take place from 10 a.m. to 2 p.m., Monday, April 8. More information about the DCA Thrift Shop, located at 996 Post Road, can be found online at dariendca.org or by calling 203-655-4552. DCA Thrift Shop is normally open from 10 a.m. to 4 p.m., Tuesday through Saturday.